With the doom and gloom of the “financial crisis” today, Foreclosures and SHORT SALES are inexplicably the dreaded monster homeowners fear. As harsh a reality it is for the homeowners, this does present opportunities for those who are looking to invest. If you’re a seasoned real estate investor, no need to explain the intricate details to you. Yet for the fearless adventurer entrepreneur new to this form of investment, here are some simplified features. SHORT SALE: This is a process when the bank allows the mortgage carrier to sell the home for less than what is owed on the note, thus it is sold ‘short’. Not to mistake that this is a short process. 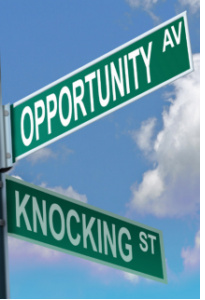 Not everyone can qualify to sell their home under short sale conditions. The homeowner must be late on payments and must have some financial situation that has caused the situation (unemployment, divorce, illness, etc). Bank must determine fair market value and deliberate whether this property qualifies. Investing in Short Sale Properties is not for the faint hearted. You must have patience, know-how, and even more patience to see the deal through. Many deals can take weeks or months before you see the closing date. 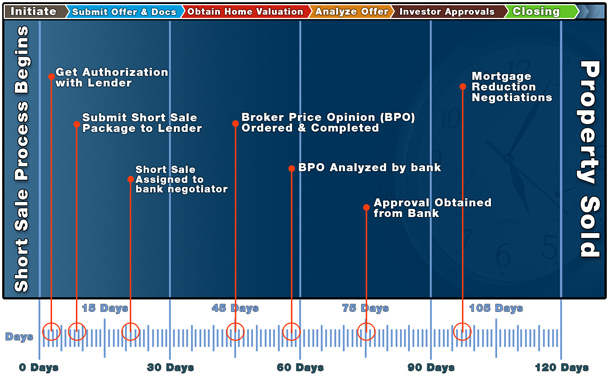 This process not only involves negotiating with the seller, but with the bank as well. If successful, however, you not only help yourself get a great deal on a property, you may be helping the homeowners from a cataclysmic credit doom (still a hit on their credit, yet not as dismal as foreclosure). It’s a win-win! One of the first things to consider is consulting an attorney to clarify all legalities of purchasing short sale properties, consult your accountant so you’ll know exactly what type of tax consequences might be associated with your purchase, and most important, a Real Estate Professional who can help maneuvour through the Short Sale Buying Process. FORECLOSURE: Properties that are under foreclosure status (aka REO, bank owned), banks now own the property and the homeowners are no longer involved. The Process is a little simpler, and more foreclosure deals tend to get to the closing table compared to its short sale counterparts. Don’t mistake, this can still be a complicated process, take time, and exhaust all your spiritual reserves, yet again , it may be a great way to pick up on a great deal! 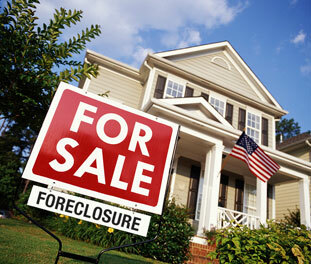 Always keep in mind, Short Sales and Foreclosures may not always make for the best deal in Real Estate investment. This is all dependent on how much is/was owed on the property, capital needed to repair the property (many of them are in shambles), and how much time you’re willing to spend to see the deal through. If you’re looking for great forecloure or short sale properties in the Little Rock area, take a look at the link below! Then contact me to get started! !